I haven’t cooked up anything in the kitchen lately that has been share-worthy UNTIL yesterday afternoon! While on my lunch break at work I was scrolling through this 20 + Delectable No Cook Dinner article and found a Greek Chickpea Salad Recipe. I added a few things to make it my own and took out a few things that I didn’t have at home so my final product didn’t end up being very Grecian, however it was delicious nonetheless! Honestly while I was combining all of the ingredients I became skeptical about what I was creating but somehow the final product came out tasting just like a lovely chicken salad! 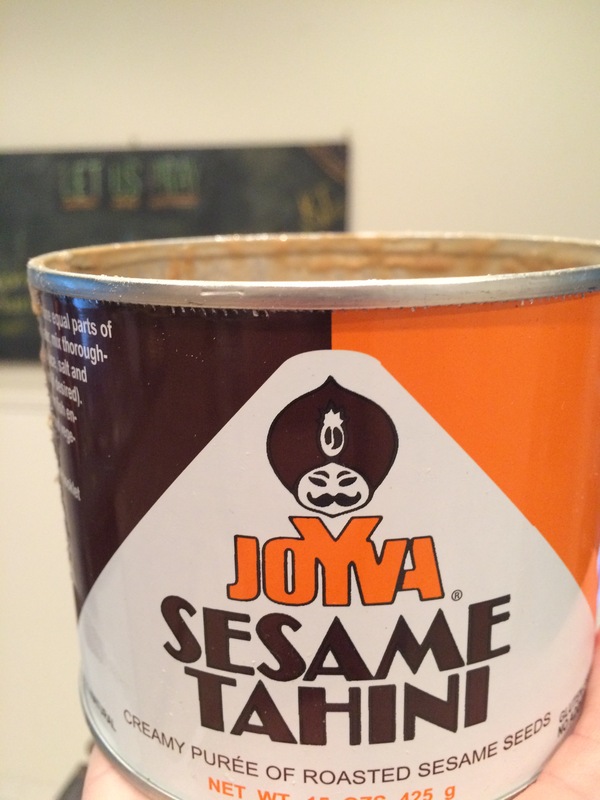 This is a great vegan option for chicken salad! Below is how I prepped and cooked up my Chickpea Salad! Rinse two cans of chickpeas and place into a mixing bowl. Mash chickpeas with a potato masher. Since I am not that fancy, I do not have a potato masher so I just used my hands. Cave woman style! You do not have to completely mash until smooth because you may want it to be a little chunky and textured. 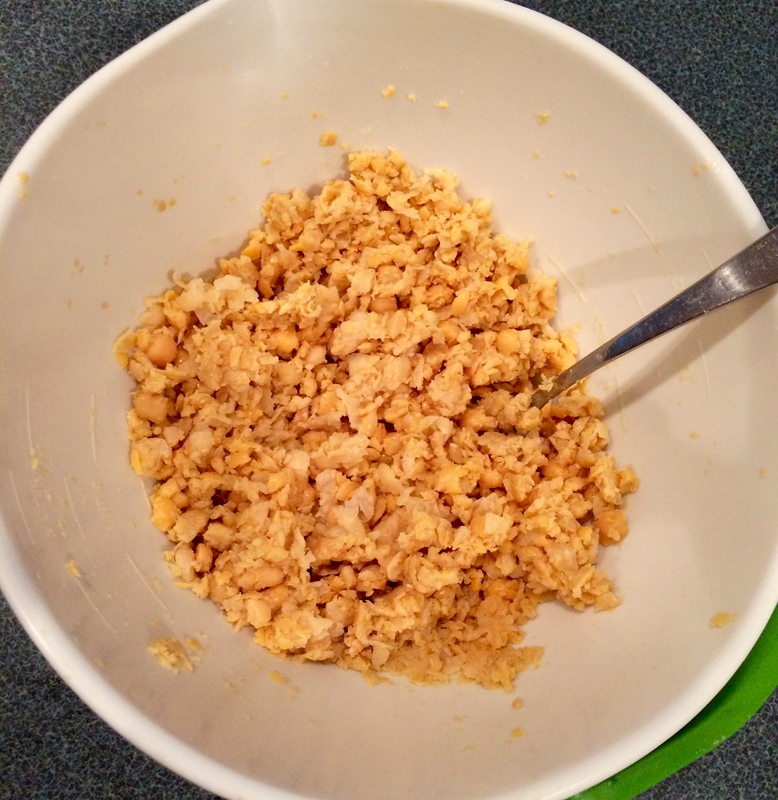 Once chickpeas are mashed, add in all other ingredients and refrigerate for 20 minutes. You will be left with A LOT of chickpea salad! I think this will get me through lunches all next week! 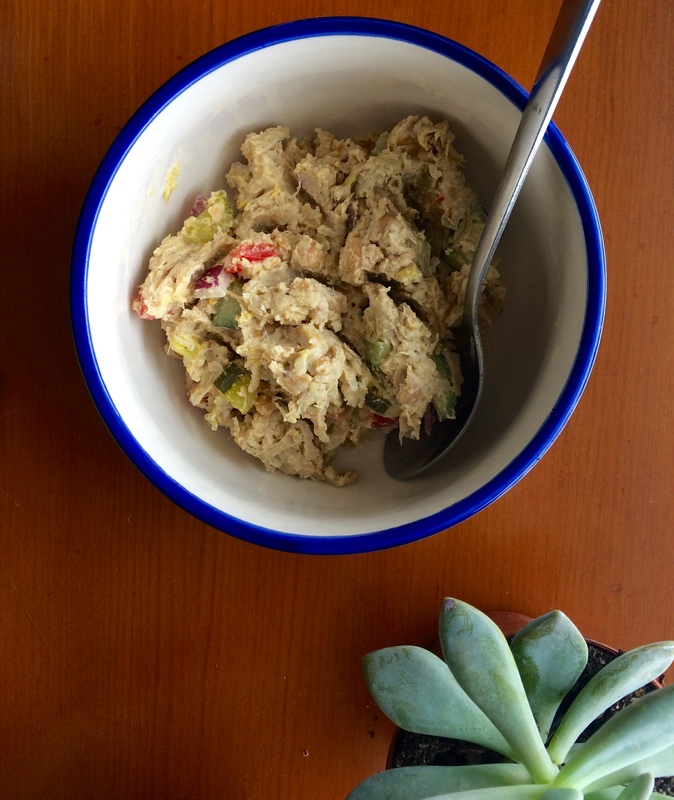 I love to eat chicken salad with saltine crackers or wheat thins so I did the same with this recipe! Here is the original recipe from She Likes Food if you want to go the Greek route! Good morning! 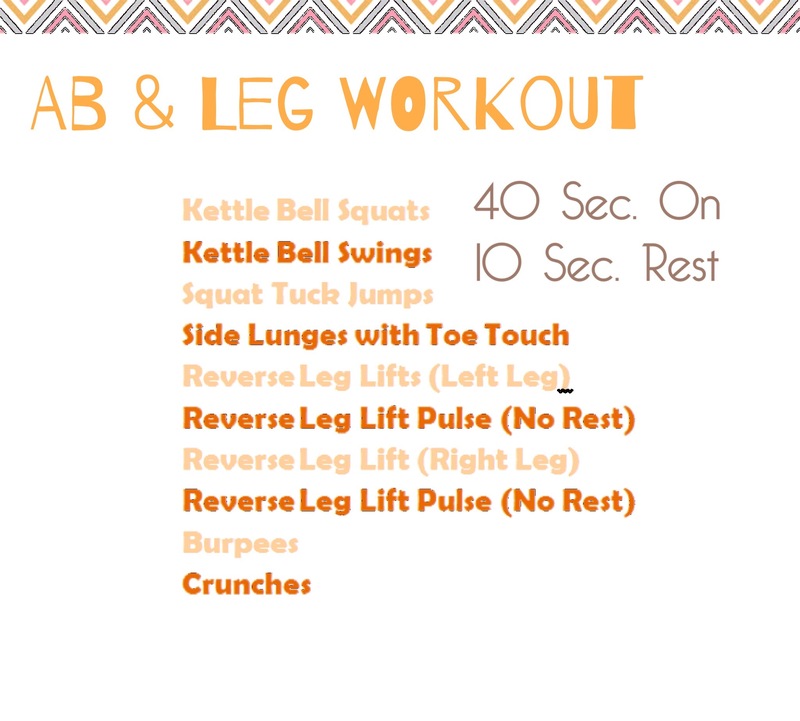 I have a great dinner option to share with you all, but first let me take you through my morning workout! I went for a 4 mile run and once completed I decided to use the exercise app, Seconds to get me through a short HIIT Workout! I completed each exercise for 40 Seconds with a 10 Second Rest in between each. The only time I didn’t rest is when I was pulsing the reverse leg lifts on each leg. No Rest before burpees equals a lot of sweat!! I would feel comfortable doing this interval twice through but my time before work in the morning unfortunately didn’t allow for that to happen! Last week I started throwing a bunch of different veggies, spices, and sauces in the frying pan and it turned out to be the most delicious dinner! I re-created it again last night and thought I would share it with you guys since it was such a win! Set oven to 350 degrees and cook chicken breast for 20-25 minutes. While chicken is cooking you can begin cooking your Kale. 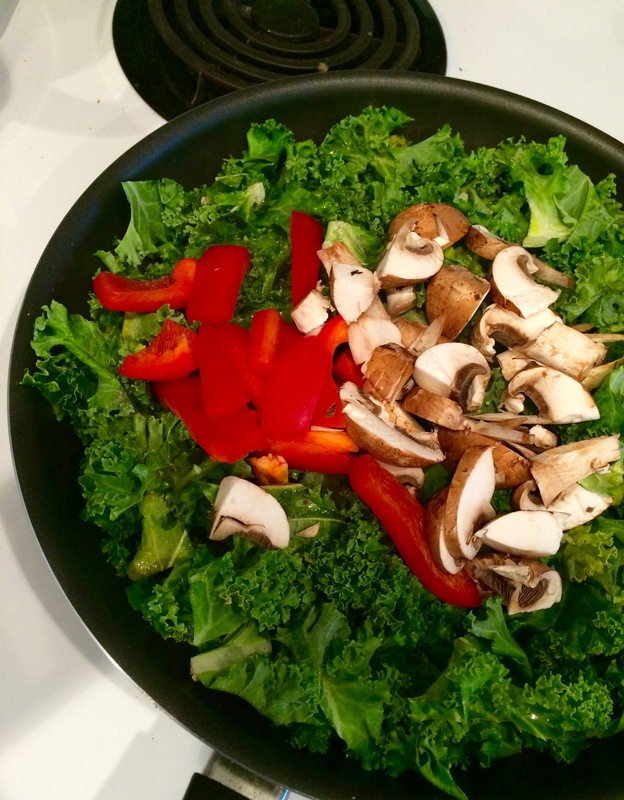 Distribute olive oil around your frying pan and place Kale on top to begin cooking. Kale will take the longest to cook out of all of the vegetables. I don’t find Kale’s natural texture to be that appetizing so I cook it almost all the way until it is wilted. 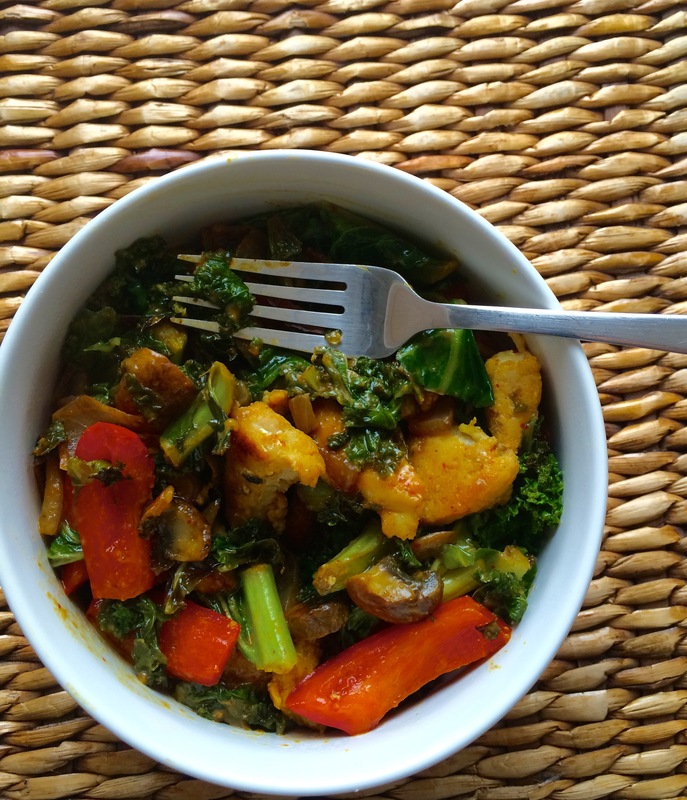 Season the kale with seasoned salt, and turmeric. Add mushrooms, red onion, red pepper. Once Chicken is done, cut into pieces and then add to the fry pan. 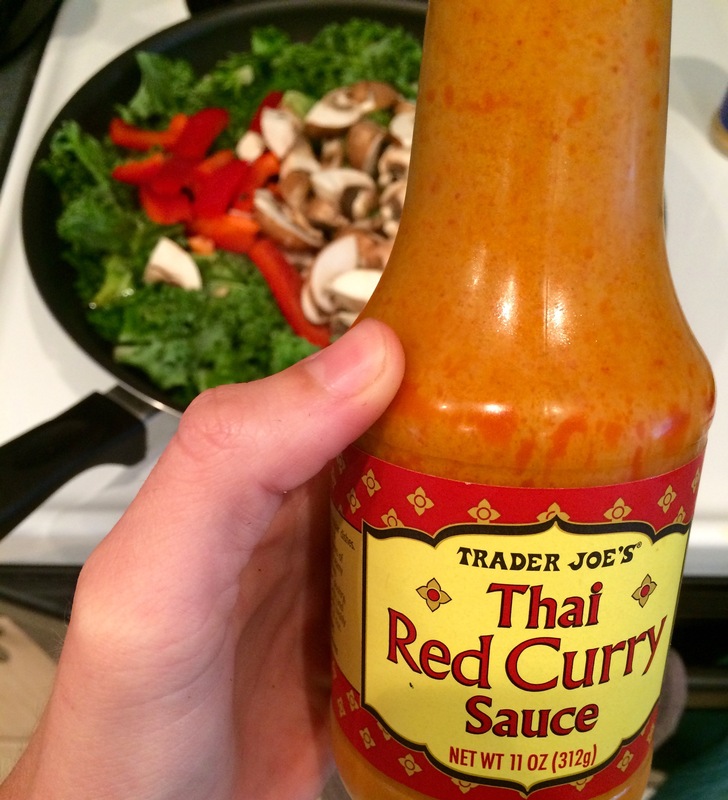 Pour Red Curry Sauce over vegetables and chicken and let simmer for 3 minutes. Stir continuously. Pour into a bowl and enjoy! On the agenda for the rest of the day is dinner at my sister’s after work and then a game of ultimate frisbee with my community group from church! P.S. Only two more official days of work and then a long holiday weekend! Yippee!! 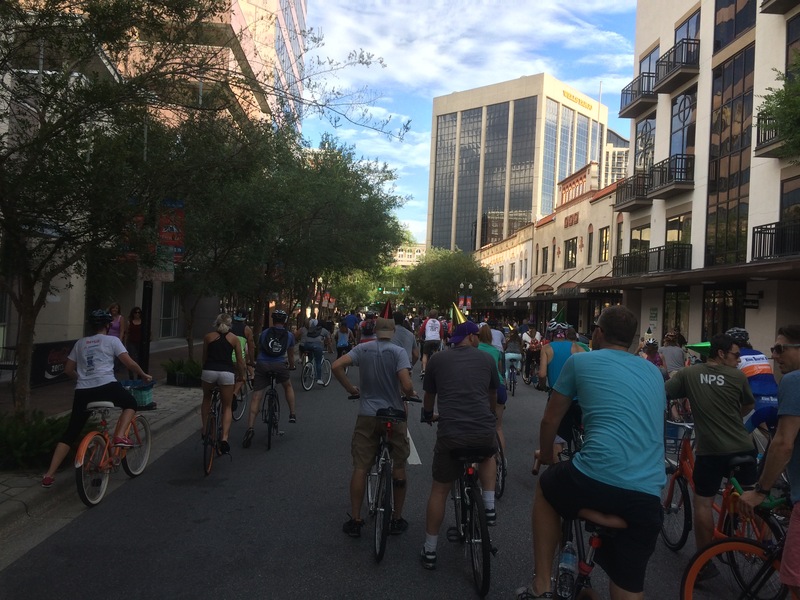 On Friday night I took part in Critical Mass, Orlando. Which is where over 200 cyclist gather together for a ride around downtown Orlando to raise awareness for cyclist on the road! I’m more go for the joy ride rather than the awareness part, but I love spending an evening on my bike with friends and feeling extremely safe the whole time! That evening two of my closest friends arrived to spend the rest of the weekend with me! I met Jenny and Lisa my Junior year of college when we all decided to hop across the pond together to study abroad in London, England. We grew to be great friends, wonderful traveling pals and I know these two are always up to see some place new and try something fun! 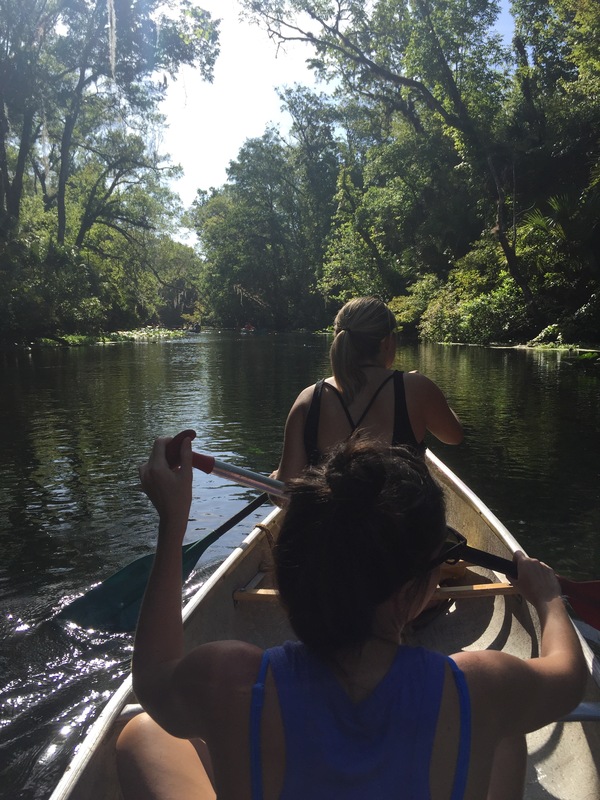 On Saturday morning we woke up extra early to drive to Wekiva Spring State Park and Canoed down the river. 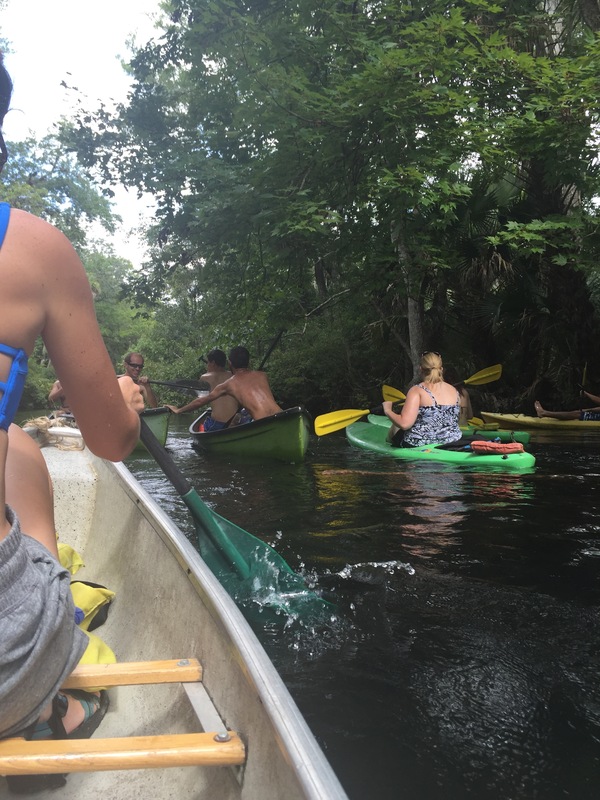 We spent about two hours on the river and I think all of us could’ve stayed out there much longer, but due to the amount of people that visit the park there is a time limit on how long you can canoe for. We saw alligators, turtles, and enjoyed the scenery and stillness! Everyone on the river was super friendly and each boat acknowledged each other in passing! 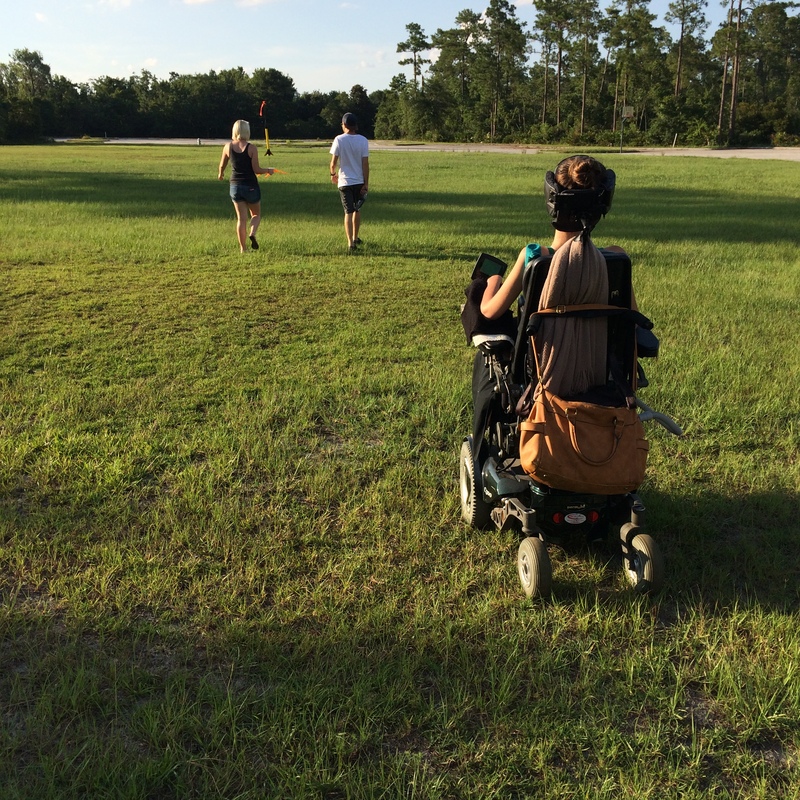 I really think that outdoor activities create some kind of bond for strangers and it is so sweet to see! Lucky for us we met some really kind people when we ran over a long and got completely stuck!! About five other boats came around to help us! 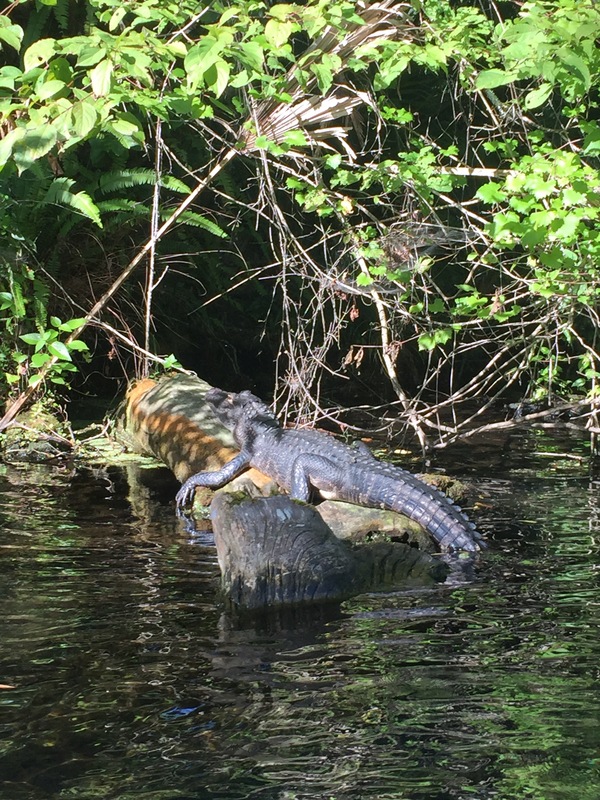 While I was conversing with the boaters on a strategy to get us off of this log, Jenny snapped a picture of our new friends that came to our rescue! I enjoyed showing Lisa and Jenny around Orlando the rest of the day, and by 8pm we decided we were all ready for a night of wine, cupcakes, and a chick flicks! We were all exhausted from the river and sightseeing! I woke up around 5:30am the next morning to get a run in before church! A few people from church all went out for lunch to Panera and it was a great end to a fun weekend! Sundays are always bittersweet because I am always too much in love with the weekend to depart it especially when the weekend was this fun! P.S. This weekend I made a recipe that I have been testing out lately and am ready to share it with you on the blog tomorrow! 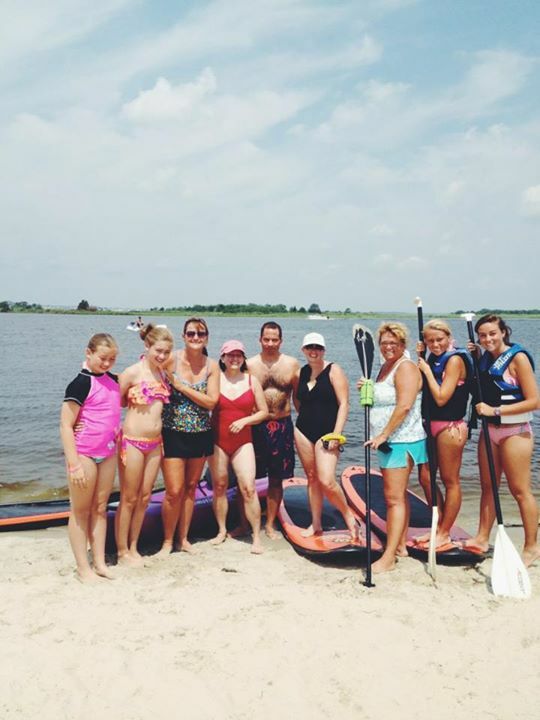 What was your favorite activity that you did this weekend? This morning I complete a 2 mile run and a short Ab workout as well as a short Arm workout. I also tried to do more intentional stretching which I am trying to incorporate into my workout routine more and more! I ran out the door after packing my breakfast, lunch, and half of dinner! Tonight I have my first Soccer game with the league I joined and our game will being at 6:30pm! I’m not one to survive eating a full meal and then working out straight afterwards so I just packed a whole wheat quesadilla and a few chunks of cheese to have after work and hold me over until I get home! Wish us luck!! I think we have a great team! A wonderful thing that has been on my mind lately is that vacation is oh so soon! At the beginning of July my family and I will be packing up our bags and head up to our favorite vacay spot..The Jersey Shore & New York City for our annual family vacation!! 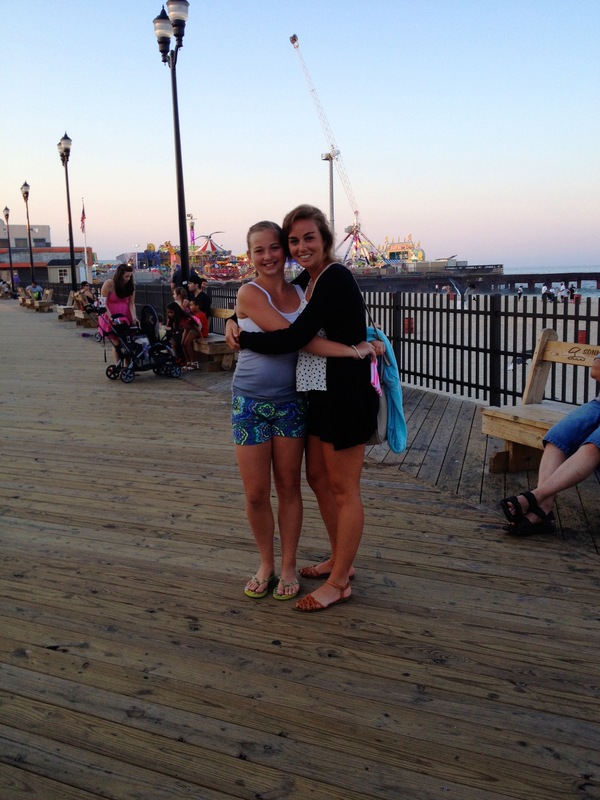 And boardwalk food & rides! The countdown until the next time we are back at the shore always begins the moment we pull out of the driveway of our beach house. That may be why I am shaking in my boots sandals because I’ll be on a plane headed there in less than 2 weeks(!!!) 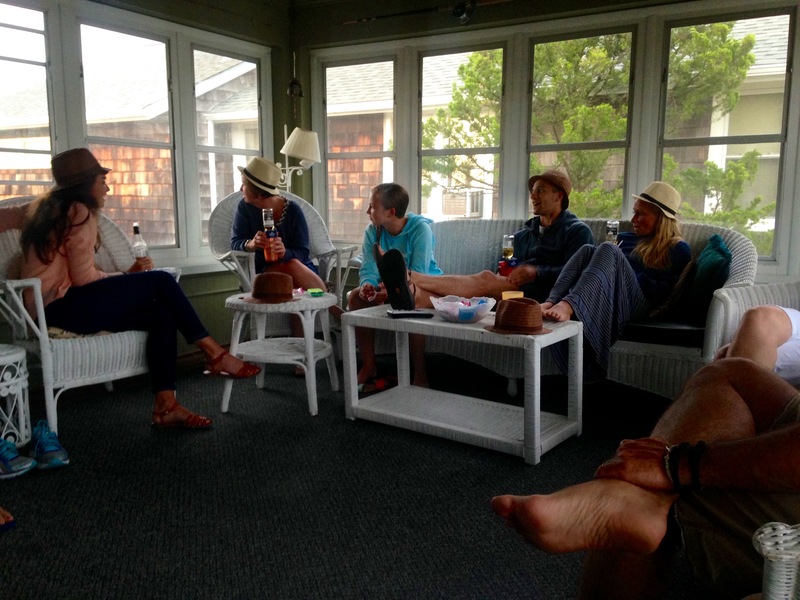 My family and I have been renting a beach house every Summer for nearly 20 years but the excitement that builds up to go still doesn’t grow old! After time in New Jersey we always make a trip up to New York City! 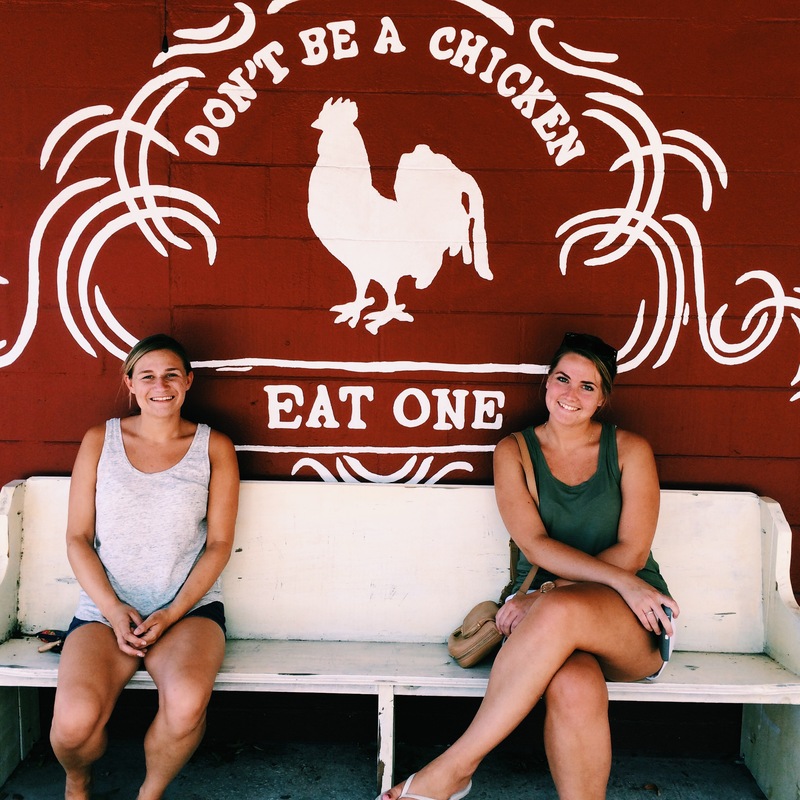 We used to only make day trips, but quickly realized that New York has way too many hidden gems that we continue to miss year after year! Now we spend 3 to 4 days in the city. I leave every year waiting for the day that I become real brave and move up there for good..maybe this year?! Typically my family and I stay in Brooklyn. 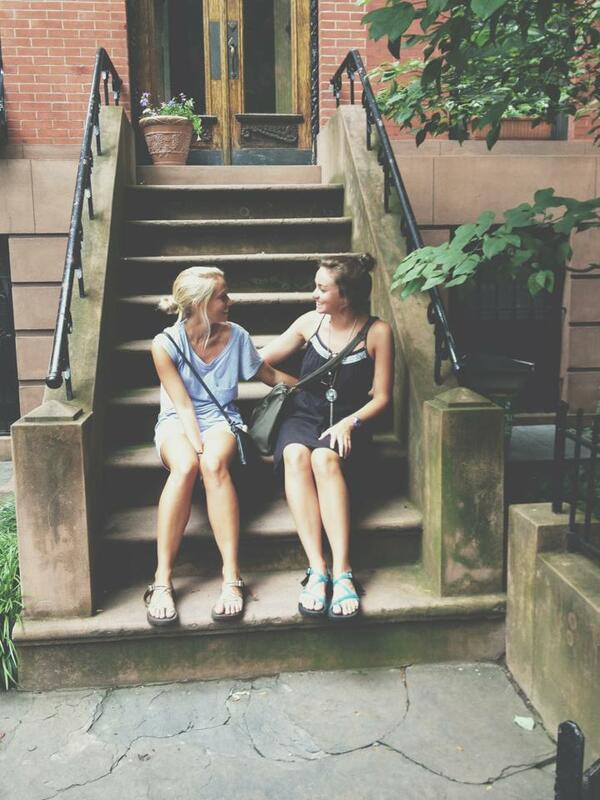 We love staying in Park Slope-away from the craziness of Manhattan, and in an area that is more homey! Before traveling, we love researching the newest and best places to visit! We already have a few things on our list that we couldn’t quite tackle last year, but I would love to hear your thoughts on some of the best things that you have done/seen or places to eat in NYC! 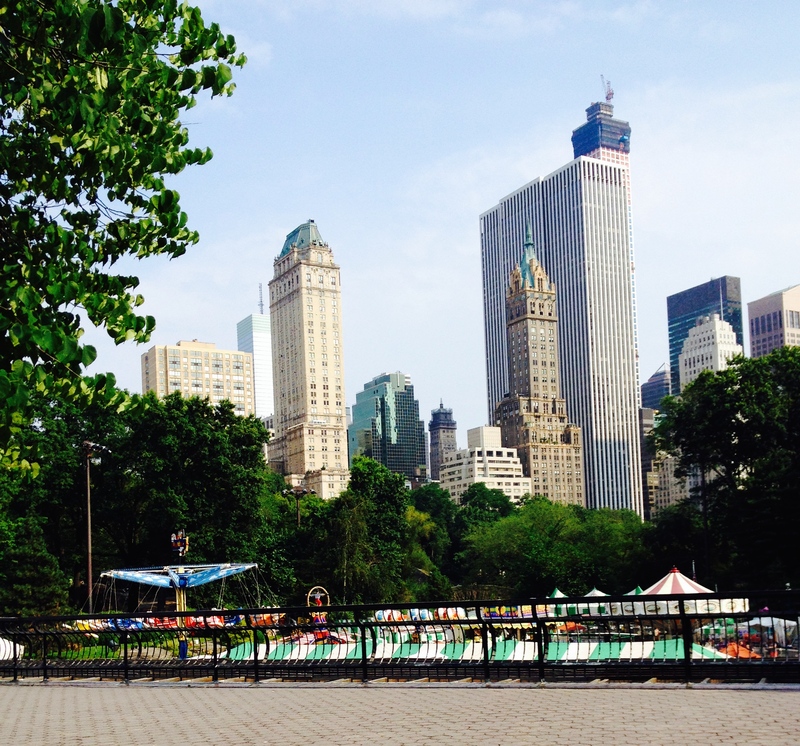 I would love any and all recommendations you may have surrounding a trip to NYC! What should we do in NYC? What food do we have to try? Yesterday I slept in through many alarms, which is my least favorite way to start off the week. I love getting my workouts completed in the morning. If I am not up and moving before work there is a high chance that I won’t workout after work. I’ll always pack workout clothes to bring and change into after work and tell myself throughout the day that I am working out in the evening but majority of the time it just doesn’t happen. This could be due to an afternoon storm rolling in, pure laziness, hunger sets in, or my body just aching from sitting at a desk all day. BUT if this happens on a Monday, it doesn’t just affect that day, it actually affects the entire week for me. If I don’t start off the week “right” I tend to carry that throughout the week. I thought this was only something that I thought about until I saw this article by The Daily Burn that haunted me as I skipped out on my workout yesterday! Some of their points I completely agree with! Others (aka the point about making more money) I just don’t see that being true. 1. You’re more likely to workout the rest of the week – Workouts need routine and if you break it from the get-go than you feel a sense of defeat and want to give up before you even started! 2. You’re more likely to keep organized– If I just roll out of bed and make breakfast and sprint out the door, my dishes aren’t clean, and my room is a pigsty! Making time to get up and workout means making time for smoother mornings! 3. You’ll have more energy – One word, endorphins. They give you energy that can even out beat coffee! 5. You’re less likely to grab for junk food – I don’t think I am the only one who eats how they feel. If you feel lazy you will gravitate towards “lazy friendly food” if you feel healthy you’ll gravitate towards fueling your body in a healthy way. 6. You won’t “binge” workout– Often when we miss workouts we just think, “oh I’ll just workout twice as hard tomorrow.” This is a recipe for disaster! If you workout twice as hard, you become sore, decide to not workout the next day, and then workout twice as hard again. 7. You’ll be less anxious – Working out helps me clear my head and relieves stress. Making time to workout throughout the week but especially at the start of the week will help with stress because it gives you time to intentionally think about whats ahead! I bet there are many more reasons, but those are the ones that weigh on me the most! Yesterday when I missed my Monday workout I tried not to fall for #5 on my list and instead of grabbing for junk food I reached for some healthier options! In the morning I prepared my go-to oatmeal! For lunch I had a few handfuls of mixed nuts, and peppers with hummus, and for dinner I went in my fridge to prepare a nice healthy dinner! 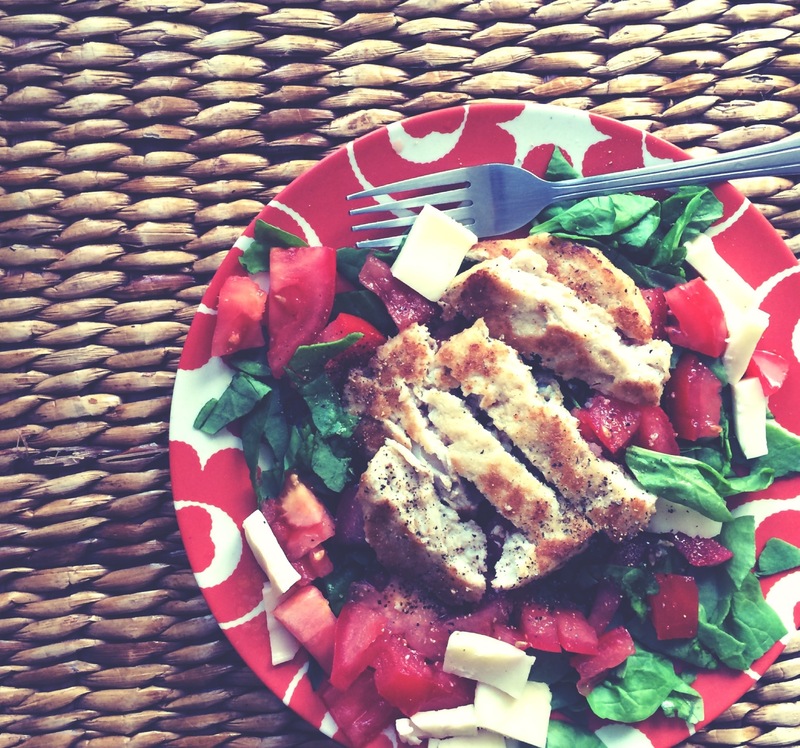 I made a salad with mozzarella cheese, fresh tomatoes, spinach, and my current favorite Mahi Mahi Burgers! 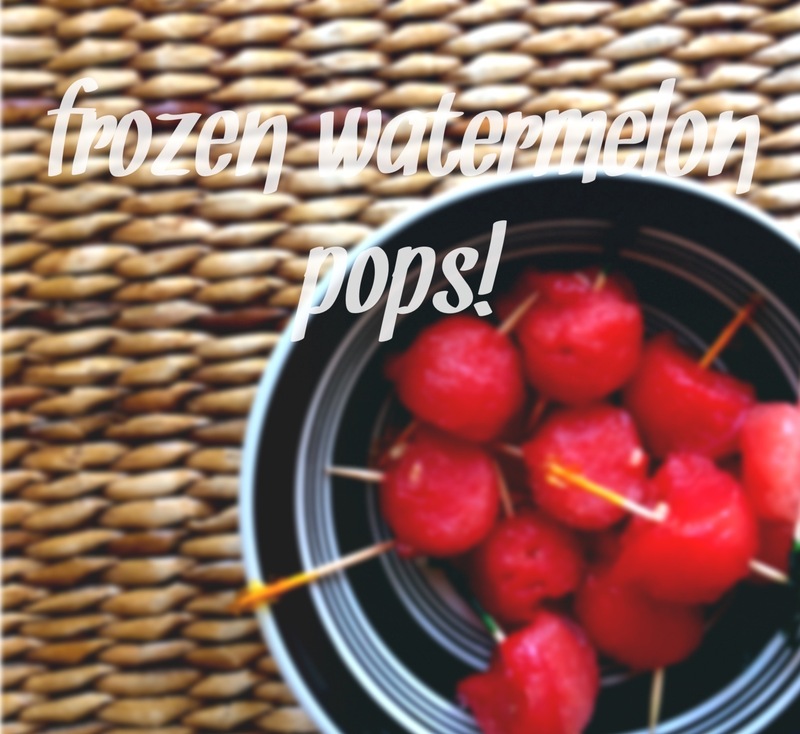 While I was preparing dinner I had more frozen watermelon pops from this weekend! Our freezer is still completely full of watermelon and I am not complaining one bit! 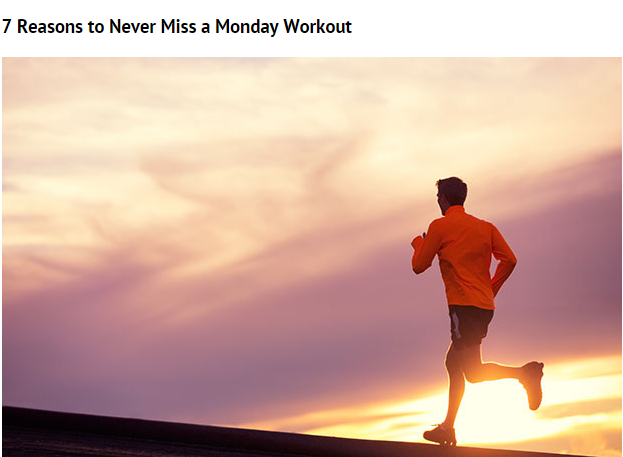 Do you try to not miss a workout on Monday? Why? This week Orlando hit near-record breaking temperatures! Orlando temps reached 100 degrees last Friday and everyone new it! The meteorologists are saying that the last time we hit 100 degrees was in July 1998! Amazing! Well, if your wondering we all survived and lived to tell the tale! Surprisingly a lot of my weekend was spent outside in the scorching sun! Saturday morning my sister and I completed a 12 mile run together. We are trying to build up our mileage every weekend in preparation for the Savannah Rock n Roll Marathon in November! After our run, we showered, and cleaned the house before friends came over to enjoy breakfast together to celebrate my roommate, Jordan’s, birthday! 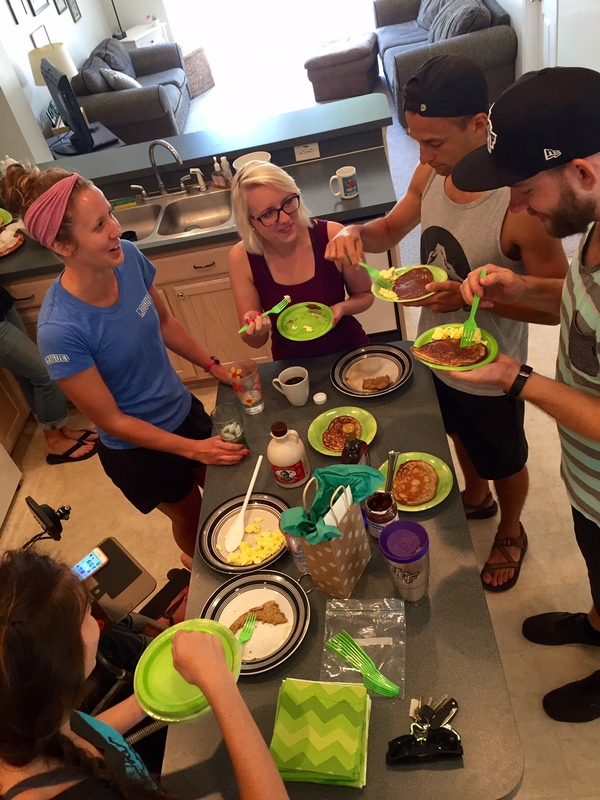 We all enjoyed Jordans dad’s famous healthy pancake recipe that I will have to get from her to share with you! 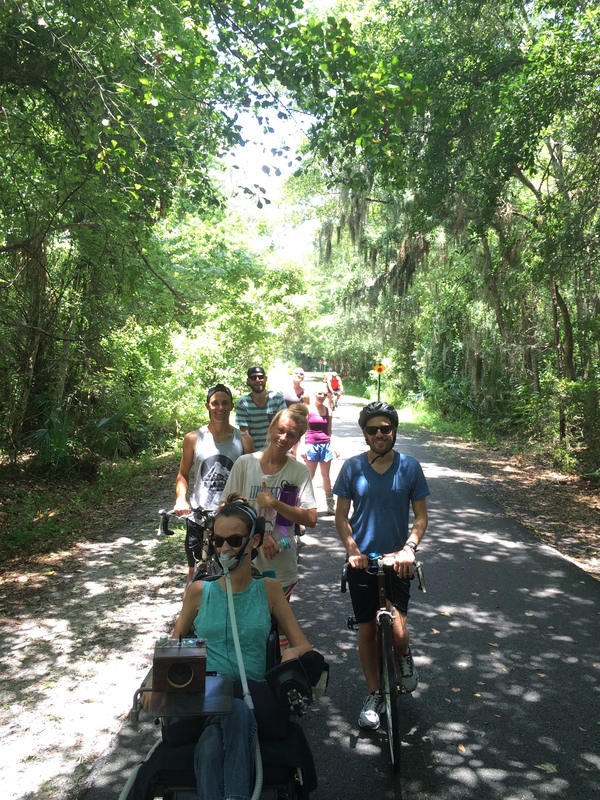 All of us then hit the trails for a stroll down a local trail! 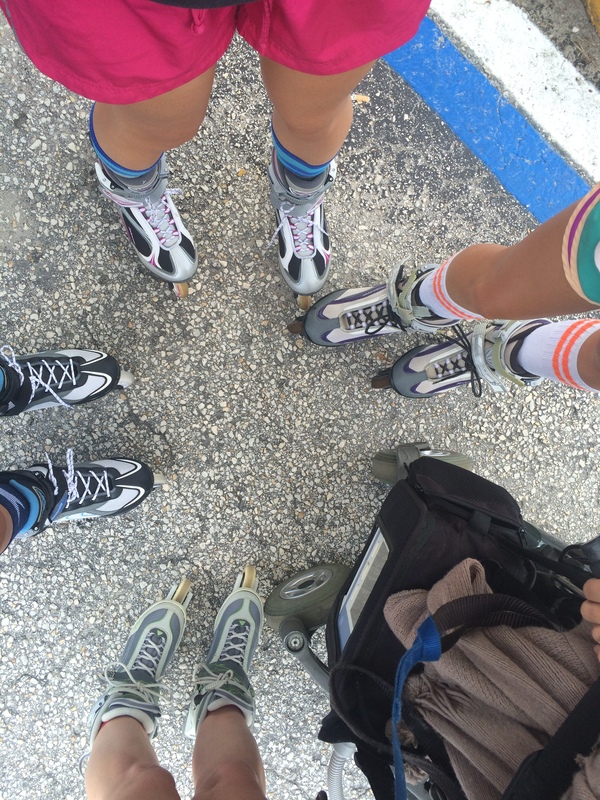 Some of us dusted off our roller blades while others chose to ride their bikes. We probably completed a 5 miles before all of started over heating! It was a blast to conquer the trail together with great company! I ate about a quarter of a whole watermelon that afternoon and don’t regret it at all. Cooling off was priority! In the evening we all reconvened at my house to enjoy a “hurricane party” themed dinner to continue celebrating Jordan! Since an intense afternoon storm rolled in, our plans for a picnic outside were cancelled so we turned off all the lights in our house and lit over 50 candles and all had dinner on the floor of our living room! We enjoyed a Greek chick pea salad and sweet tea while playing games! 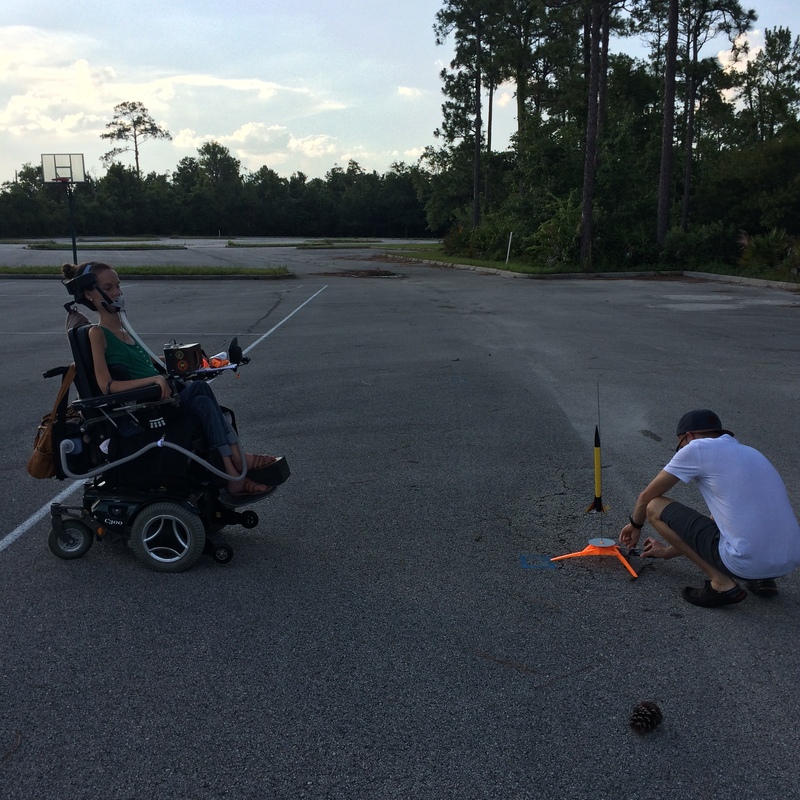 On Sunday I spent the morning at church and in the afternoon, a few of us got together to shoot off a rocket, yep, a rocket! 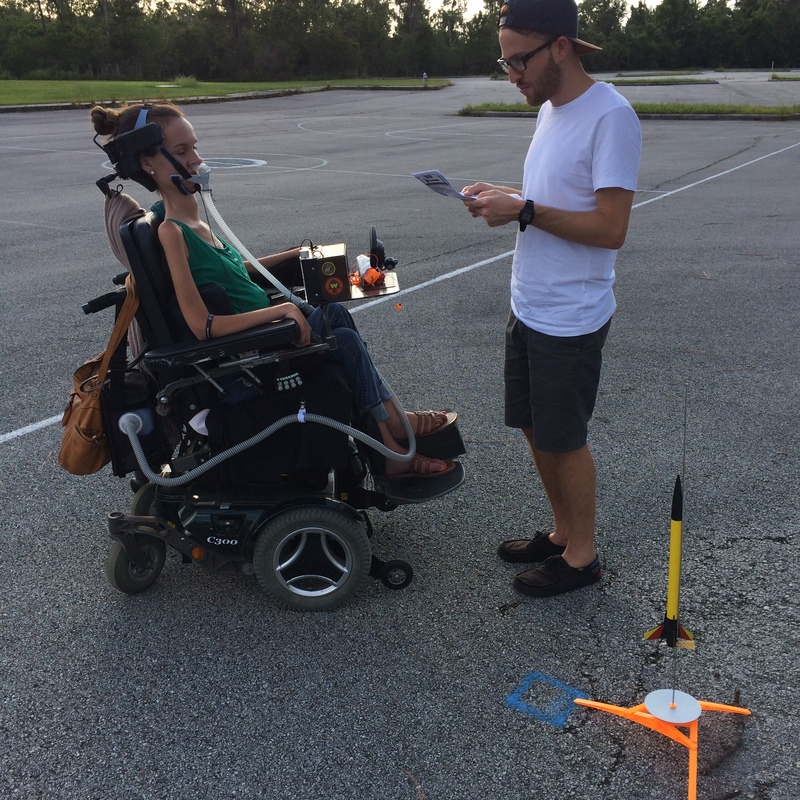 Jordan set off a rocket last year for her birthday, Mission Dreamlife. And this year I got to be apart of the second annual birthday launch, Mission Dreamlife II. I’m not one to deal with explosives, and might have freaked out a little bit when my eyes saw a ball of fire shoot up into the sky and couldn’t see where it went! “What goes up, must come down”…right? However, once my eyes caught sight of the rocket in the sky, I knew I was safe! The rocket landed over a mile away and couldn’t ever be retrieved! I have a new recipe for you! I absolutely love vegetables but I know that a lot of people have something against them..and I understand that. I feel the same way about fruit. You will hardly ever find me munching on grapes, or apples, but I usually sneak fruit into my diet in the form of smoothies! Similarly, there are ways to sneak vegetables into your meals without just chompin’ on a stick of celery. This is the definition of a hearty winter soup! However, there’s no rule against eating winter soups in the summertime, and if there is than I’m a rebel! I think this soup was so delicious that you wouldn’t even know you ate as many vegetables as you did! 1 Cup Mushrooms (optional) <—I didn’t use, but think it is a great option! 1 Cup Celery (optional) <—I didn’t use, but think it is a great option! In a pot pour in water, chicken stock, cinnamon, cumin, and chili Powder. Let everything simmer and mix together while chopping vegetables. Add vegetables and once all vegetables are added turn stove up to a boil. Let everything boil for 15 minutes. Bring back down to a simmer before serving to guests and make sure that all vegetables are tender. I served this soup with a side of tortilla chips! 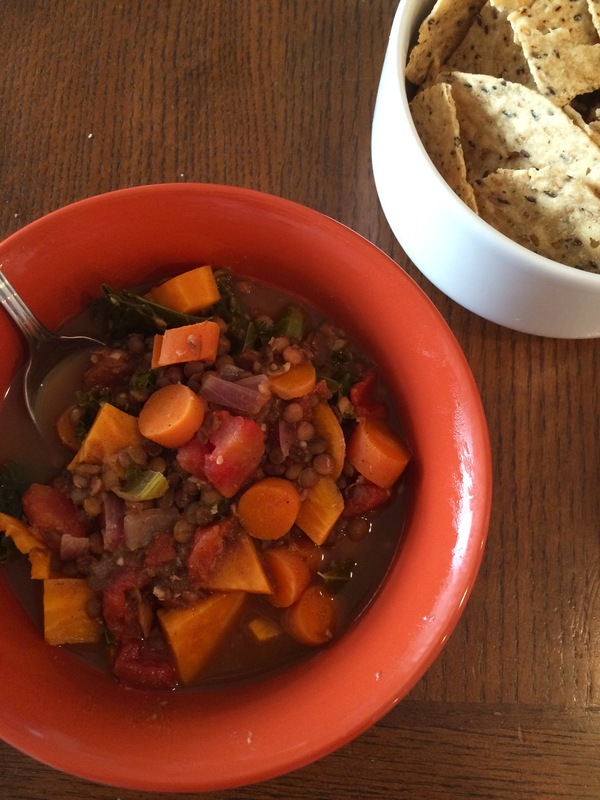 I think Lentils really have a way of filling you up fast! I cleared my bowl and was completely stuffed! I know I often think that vegetables don’t really have any staying power. 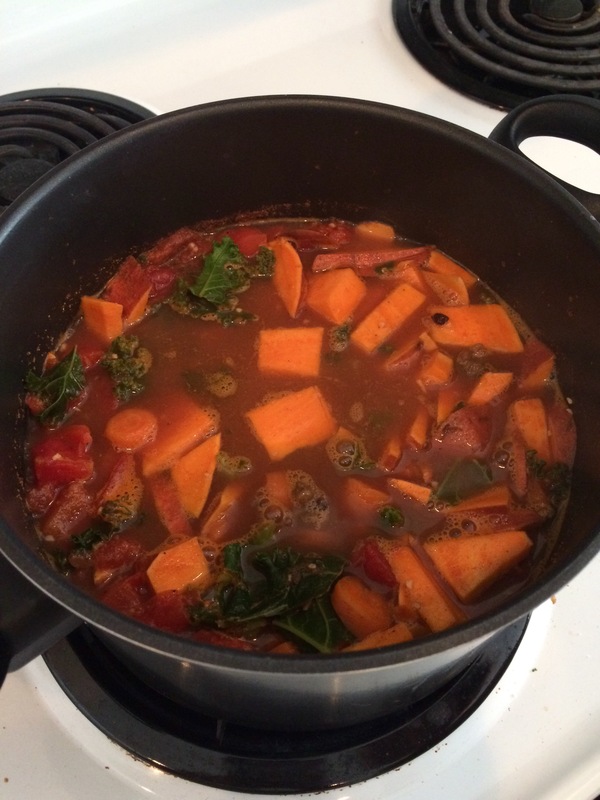 Sometimes I think that I won’t get full from eating vegetables, but this soup proved me wrong!